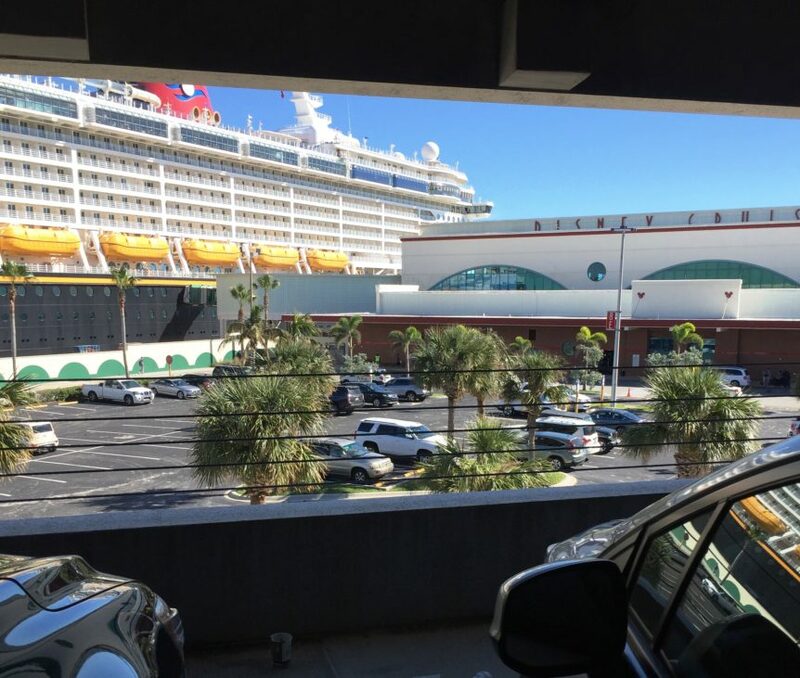 If you are considering booking a Disney Cruise with Asperger’s in the house you have additional things to consider aside from general planning. Even so, there are planning basics we all need to cover. In this post we are going to talk about making reservations, costs (yes, we’ll talk finances! ), and other general booking considerations. Some will be with Asperger’s, allergies and Sensory Processing Disorder in mind, but there are many other tips most will be able to use! My Aspie is a Disney girl through and through! Being one of her Special Interests (or as she says now, “ditch the label, it’s just something I really, really like, Mom”) it made planning a breeze! As we run on a tight budget, she knew to make the “Ask” well ahead of time. That’s brings us to tip number one. If finances aren’t a worry for your household, you may be able to book a cruise much closer in. Still, it’s a good idea to book as early as you can as these rooms fly off the shelf! (Finances not a worry? Skip down to TIP #3.) But, if money is a concern for you, let’s chat about that so you can have a better understanding of what this baby is really gonna cost you. Finances not a worry? Skip down to TIP #3. When you book your cruise you are expected to put down a down payment. In other words, you don’t have to pay it all up front, and the earlier you book, the father apart you can spread payments, if you need to. Some fees, like port fees, may change between when you book and when you sail, but it shouldn’t be much. In fact, we got a modest refund! Disney is very clear about the costs, too. Travel to and from the port. Unless you live in the area and have someone who can drop you off and pick you up at the port, you’ll need to budget for transportation and possibly hotel accommodations for the night before. Some hotels will include transportation to the port in the price, some won’t. If you are parking on site (which is what we did) the parking fee is a bit hefty. When we booked the cruise it was $80 (all amounts listed are in USD) for four nights (the length of our cruise), but the cost rose to $85 by the time we were ready to sail. In other words, yeah, it’s only $5, but little raises here and there add up, so add wiggle room to your “set” budget and you’ll be just fine. Port side baggage helpers. Customary amounts are $1-2 per checked bag, cash. On board there is the stateroom host, plus three individuals who participate in serving and helping during dinner. The suggested amount for these individuals will be provided to you by Disney, along with what you can do if you wish to decrease or increase what you give them. If you are happy with the suggested amounts, Disney will automatically place them on your stateroom folio (fancy speak for your bill) at the end of the cruise. This one was a nice surprise! Most items on the menu (when we sailed) were already included in the price of the cruise! 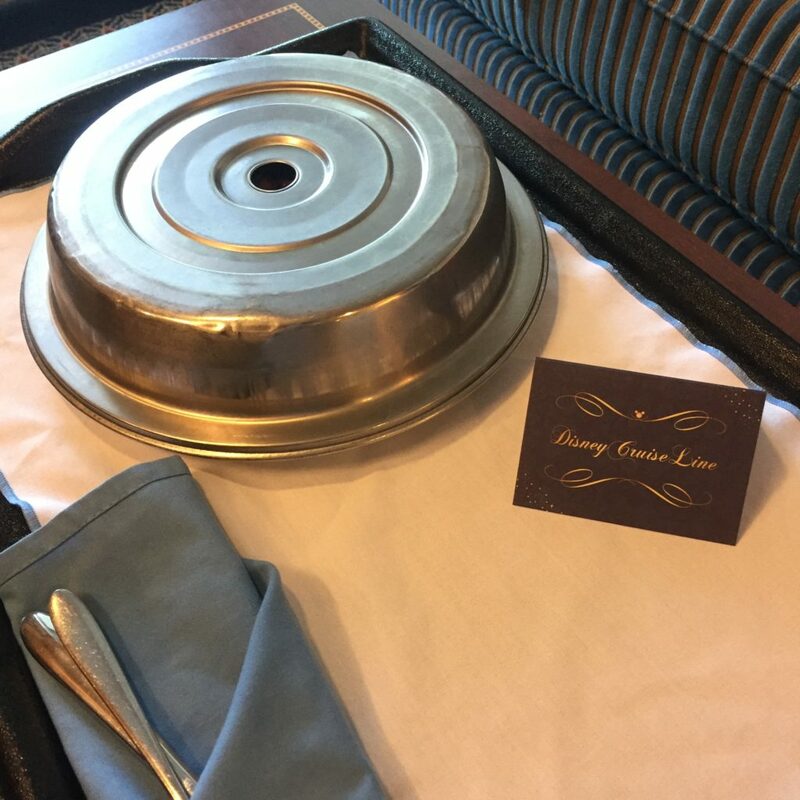 There are items you can purchase for an additional fee, but, wow – just wow – you can get room service for many things without incurring another bill. That being said, it is good to tip the server who delivers the items to you. Speaking of tipping… Special services, port related adventures, and specialty beverages do incur tipping. If you want a special beverage, there is an automatic 15% gratuity added to your bill at the time of order, making it easy. Head over to Disney’s website for more information. We did not take advantage of these, but these do cost extra. These cost extra, too, and sell out rather quickly. 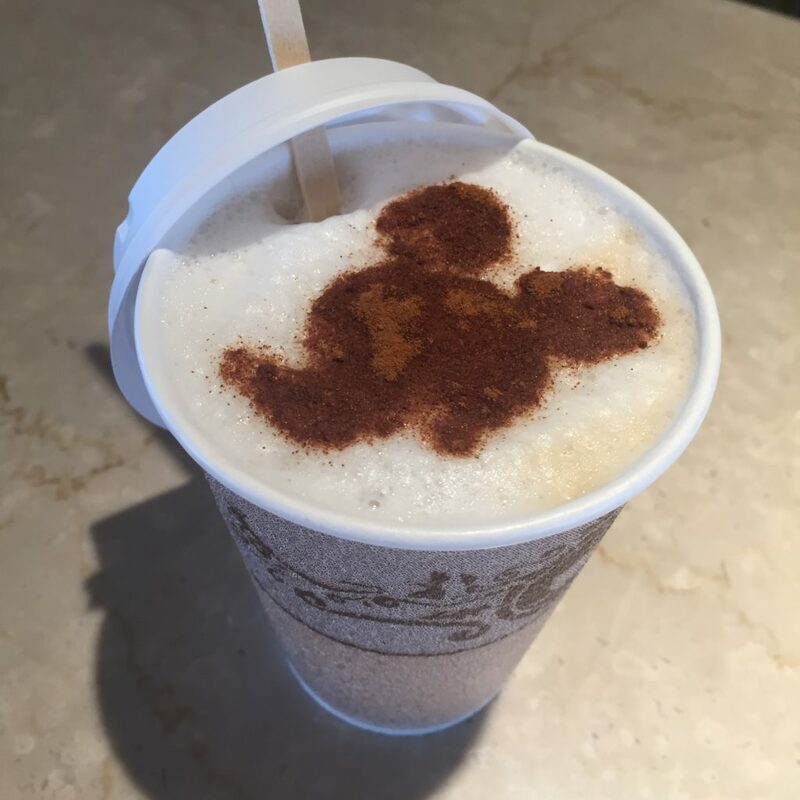 One nice perk of choosing a Disney Cruise is you have access to a drink station throughout the cruise! We aren’t soda drinkers, so pretty much stuck to water, but for most, this is a nice change from cruise lines who nickel and dime you when you get thirsty. They always have coffee and a nice selection of hot tea available, too. However, if you can’t go without that special capp (*raises hand*) there is a very nice spot on board where you can buy cappuccinos, lattes, etc. I found the prices fair and, honestly, much better than I expected. Other than java, there are smoothies for a fee as well as wine, beer and other adult beverages (umbrella drink, anyone?). As in the parks, there are Disney photographers all over the ship who will take your photo at character meet and greets, dinner, and a few other spots. I will admit the quality of the photos were amazing! But… (Yes, there is a “but.” Not even Disney is perfect. Blasphemous, I know…) we were rather disappointed in the price structure and the sizes of photos available. When we were there they preprinted photos for you to choose from and purchase on the spot. The issue we had was we are not an “8 x 10” family, which most of these photos were. Sure, we could purchase a disc with all of the photos, but the price was out of our budget. One cast member we spoke with said they are transitioning to digital photos, and we hope that will help with both size offerings and sticker shock. Again, that’s was my only Disney Cruise downside, and it’s one we can live with. Palo and Remy, the “adult only” restaurants. There are two adult only restaurants on board, and both incur extra fees. We dined at Palo and had a lovely experience. Still, the price for these varies with the restaurant you choose. We bought it through Disney (Disney Cruise Line Vacation Protection Plan) and are glad we did! Whether you book far ahead or have concerns about the possibility of an unexpected illness on board, setting aside some cash for trip insurance just makes sense. Laundry is available for an additional fee. This goes without saying, right? Right. There were several craft type activities aboard the ship at no additional cost! So fun! The mini golf and foosball on the Disney Dream were free, too! Love it! There are many other activities included, which are posted on the “Navigator” (daily schedule) each day. There was no shortage of things to do that didn’t cost any extra. So, the big question: How much did it cost us? I hesitate in posting as there are so many variables when it comes to price, not the least of which is length of the cruise, itself. We booked a veranda room with a partially obstructed view and paid a little over $2,000 for both of us, which included insurance. The entire cruise (adding in “extras” that we did choose and budget for) cost us less than $3,000 for a 4-night Bahamian, Very Merrytime Cruise. Hopefully, this gives you a good start on how to create a budget and see if a Disney cruise will work for you. If the answer, “yes” and you have a realistic idea of your finances in one hand and enough advanced planning in the other, you should be just fine. Still with me? Want to give a cruise a go? Let’s talk briefly about cruising with Asperger’s and SPD, as well as booking the cruise, itself. After deciding which cruise you want to take (ships sizes, destinations and lengths of voyages vary greatly), it’s pretty simple to book, but it can be overwhelming if you’ve never done it before. There are new terms to learn, which can make it seem more cumbersome that it really is. As with anything Disney, if you feel lost in the process, give them a call or chat. They are more than happy to help you sort it all out! 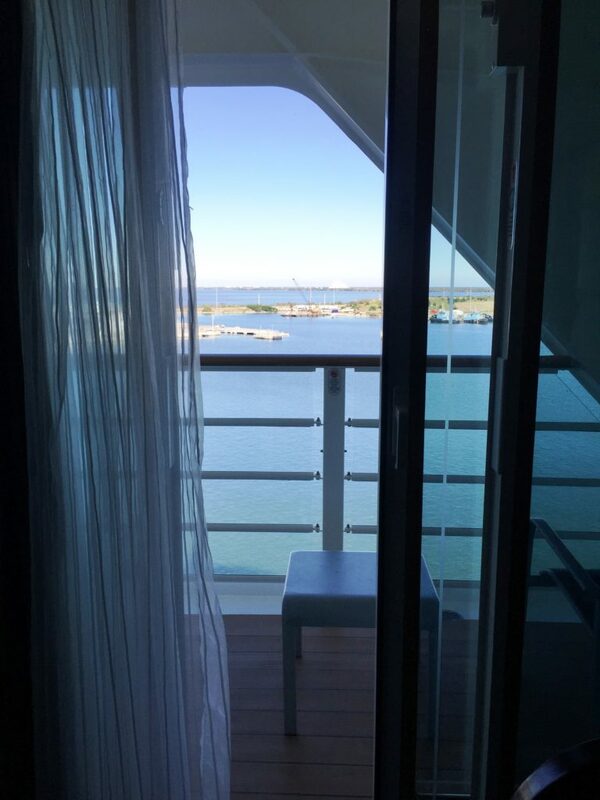 For starters, rooms on the cruise are known as “staterooms.” They vary considerably, the main difference being having a veranda (deck), porthole view or interior accommodations with no outside view at all. With SPD in the house, we knew we needed a verandah, and that’s what we picked. And, yes, those cost more than the interior spaces, but respecting SPD (my SPD, especially), a deck was a requirement. Again, you know your family. You may prefer the darkness an interior room provides. As far as where, exactly, on the ship to book, that will vary, too. Instead of calling them “floors,” think “decks.” There are maps on the Disney Cruise Line website for each ship that can help you determine what you want to be close to (or away from). We found it quite easy to navigate the ship, and our neighbors rather quiet. Assuming your cruise heads outside your country, you will most likely need valid, active passports for every member of your party. Head over to the Disney Cruise Line website for the most accurate information for which documents are needed for which cruises and plan accordingly. Once you’ve gone through the basic booking process, it’s time to contact Disney about any special concerns anyone in your party may have. These include food allergies, autism, and other special needs. Do this as far ahead as you can. It’s painless, I promise. Decided to go for it? Are you all booked? Sit back, relax, and enjoy the moment! You’re going on a Disney Cruise! Or do you have Asperger’s or Sensory Processing Disorder in the house and are still on the fence? Let’s talk a little longer. Debating whether to push that button and book that cruise? Only you know your family and can make the ultimate decision. For us, Disney made the choice easy! If you’ve read my book “Asperger’s in Pink” you already know of K’s love of Disney, as well as the story of our visit to Disneyland before we even knew she had Asperger’s. Through the years we’ve rarely taken vacations, but the few we have involved Disneyland and Walt Disney World. Besides being places K adores, there is something about Disney that makes families like ours truly able to relax and have… a vacation. Disney “gets” autism; they “get” Asperger’s and Sensory Processing Disorder. And, they get food allergies, too! Knowing this ups the chance we’ll have a good time, that saving like crazy really is worth it, which is why we choose them. If there is one thing Disney sets the standard for it is making you feel like you are ok – just as you are. Throughout trips to various Disney Parks we relied on cast members to help us understand what certain rides would be like (SPD), and had a load taken off when someone gave calm reassurance as our then young Aspie was overloaded. That, alone, made all the difference! 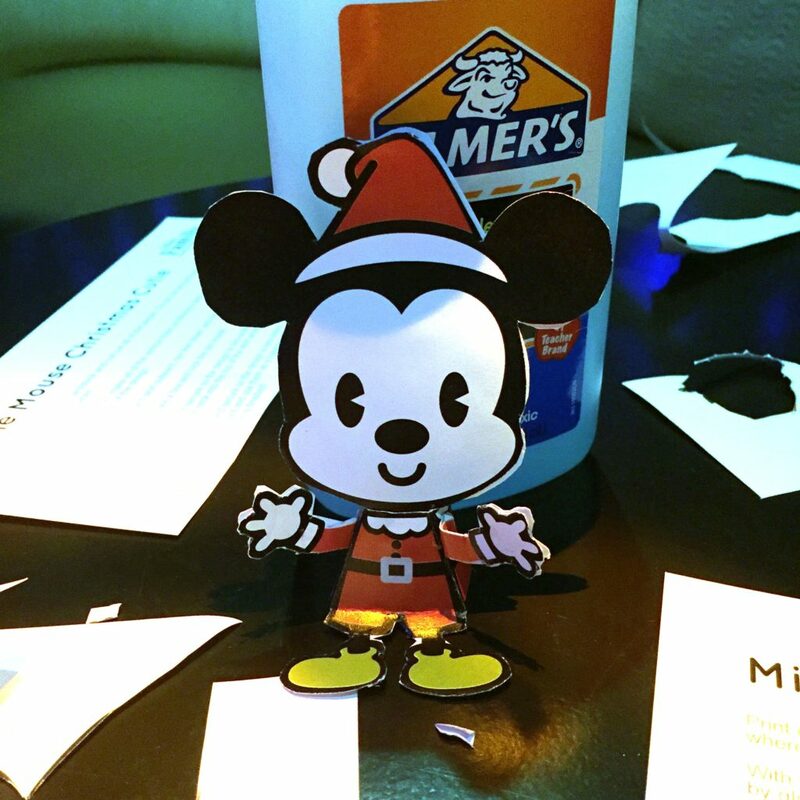 So, when it came to going on a cruise, choosing the Disney Cruise Line was a no-brainer. We knew there would be cast members who were trained to help if needed, to answer sensory questions, if needed. We’ll address those details in another post, but for now we want to give you this link: https://disneycruise.disney.go.com/faq/guests-with-disabilities/autism/ . It’s to Disney Cruise Line’s position on autism and Asperger’s. Click on it, read it, then click the link on that page (which takes you to a PDF) for more information. Or call them. They are nothing short of wonderful and understanding! After talking with them you should have an idea whether or not this type of trip will be a fit. Speaking SPD for a moment, yes, there are places and times where things can get loud on the ship. The ship may rock. There are people everywhere (hey, it’s a cruise…), but it’s nothing like the crowds in Florida in June. Nothing at all. There are places you can go on board that are quiet. If you are traveling with Asperger’s and are 18 and older, you have access to the adult pool and a few other adult areas which are sensory bliss. Still have a question? Post it in the comments below and I’ll address it best I can. All booked and ready to start packing? Congratulations! You’re going to have a great time! We’re so excited for you! In the next blog piece we’ll talk about packing and “embarkation,” which means getting aboard the ship. Other posts will address being on board and enjoying your incredible vacation! Links were accurate at time of posting.